In a recent article on Domain, the writer, Kate Farrelly, used the analogy of two Toms to compare the different investment prospects of suburbs. Tom Cruise, whose career has experienced the self-consuming intensity of a supernova, represents places whose rise is stratospheric, but whose long term gains are risky. On the other hand, she used the analogy of Tom Hanks, a Hollywood stalwart, married to the same woman for decades, more daggy than hot, as the embodiment of a good long-term prospect. Tom Cruise places are what are known in the business as hotspots. A hotspot is somewhere experiencing feverish capital gain. At face value this is great. Everyone wants a piece of the action and the prices keep going up. Until they don’t. If you haven’t got in at the beginning, then you’re faced with buying an investment with challenged affordability. There’s the chance too that the value of your property will drop by the time you want to sell it. And sometimes it will be vacant while you wait for a buyer. The most obvious example of property hotspots in recent years is some mining towns in Queensland and WA, although Hunter towns such as Singleton have also suffered. Places that have been deluged with apartment construction such as Melbourne’s Docklands are another example of hotspots with the potential to burn investors. Of course sometimes a hotspot can pay off. Especially if you are in early. But this kind of speculative property investment, which seeks short-term capital gain is high risk. If you have ten properties in your investment portfolio, then perhaps it’s worth taking that risk, but if you’re investing in property so you can afford a decent retirement, you’re much better off with a Tom Hanks investment which will grow consistently over the long term. 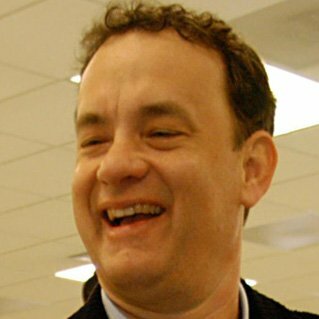 So what does a Tom Hanks investment look like? None of them are exactly the same, but the features they are likely to share are easy access to employment opportunities, shops, transport and schools. They will often be in areas that have a sense of community, whether it’s a master-planned greenfields estate with great common facilities, or a suburb undergoing rejuvenation. A Tom Hanks investment is affordable for both the investor and the tenant. Most importantly, a Tom Hanks investment is one which will reward you for time in the market, rather than the time when you entered the market, which means that there’s no better time to start sorting out your financial future than today.